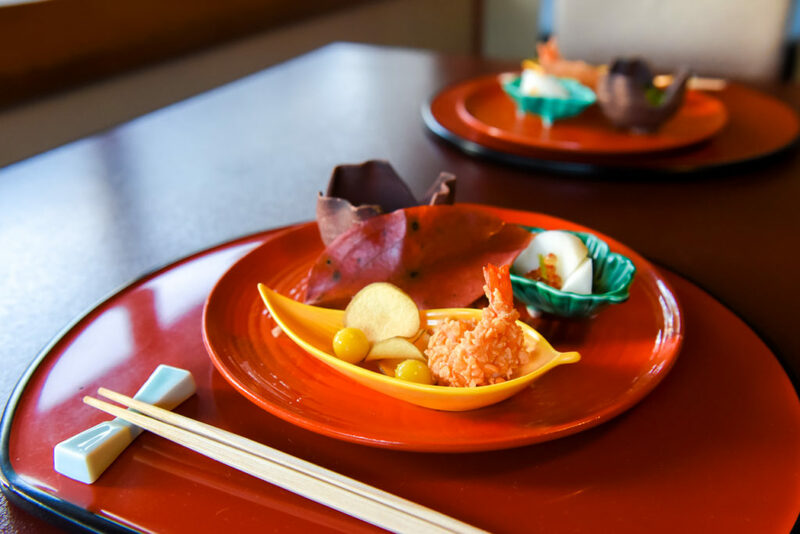 There are restaurants that provide excellent dining experiences, and then there are others that will not only excite your taste buds but also transport you to Japan of yesteryear. Tokyo Shiba Tofuya Ukai is exactly that place. 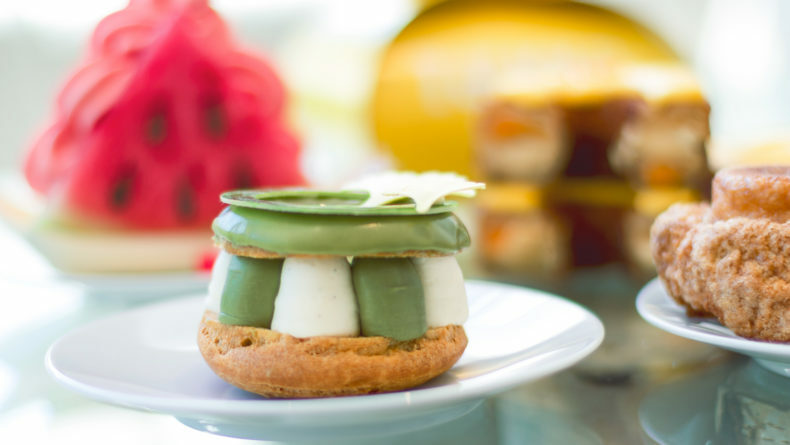 A visit to a restaurant of Ukai Group is never short of sensory experience. 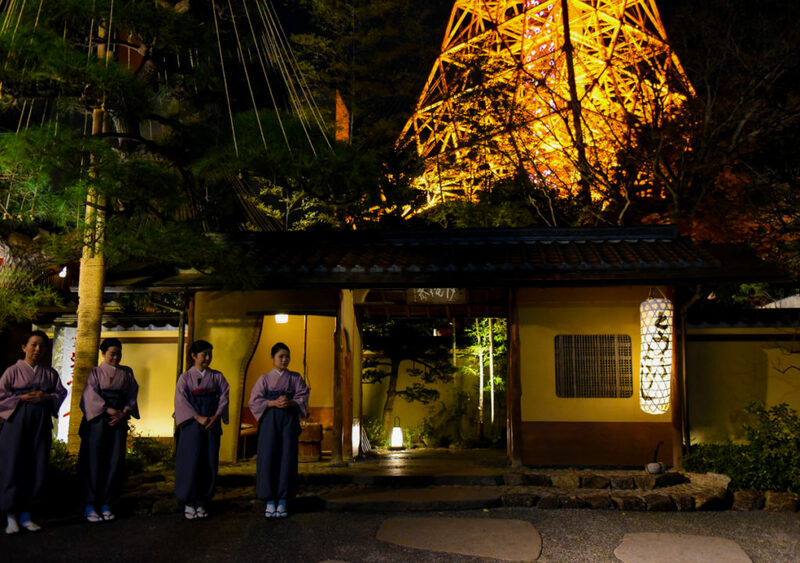 Toriyama, for example, nestled in the verdant woods of Mt.Takao, will transport you to the remote village of Shirakawa-go, while the group’s glitzy teppanyaki restaurants in Omotesando and Ginza will serve you one of the best wagyu beef in the city. 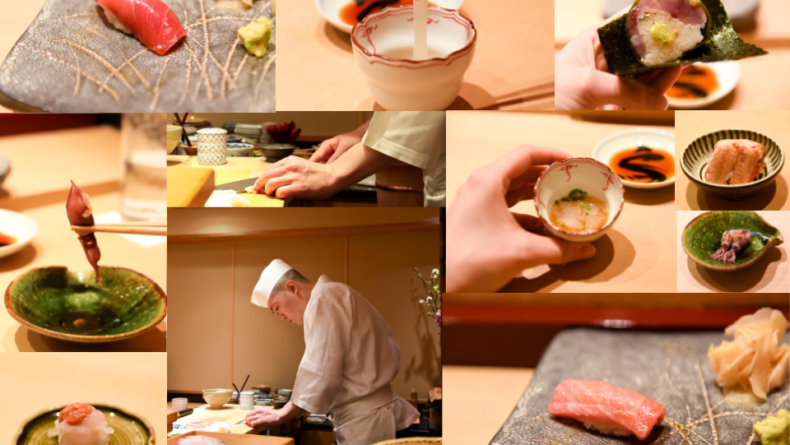 Spoiled by three visits to the group’s restaurants, I decided to opt for a fourth one — this time, in Tokyo Shiba Tofuya Ukai which offers a quintessential Japanese ambiance matched with impeccable service and exquisite food. 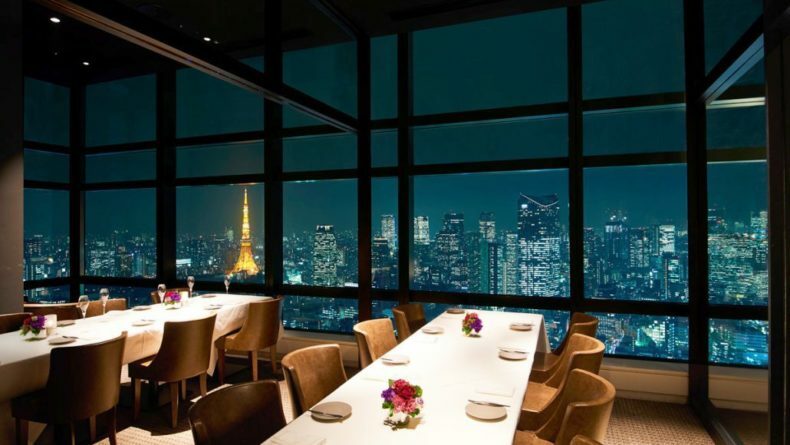 The restaurant is located in the heart of the city — in fact, at the very foot of Tokyo Tower. Yet, once you step through its wooden gate (following a near-royal-fit greeting) you find yourself a world away. A thick-walled warehouse, vermillion torii gate and the ornamental koi (carp) pond are just a few features that make you completely forget that you are in the center of one of the most modern metropolises in the world. Ukai is housed within a samurai-era merchant’s residence where a 200-year-old sake brewery was transplanted from Yonezawa, Yamagata Prefecture. As we were greeted by the kimono-clad staff and escorted to our private dining room via the winding passages and silent hallways, we admired the traditional elements of the Japanese interior: massive polished beams, sunken hearth, ancient vats and a wooden sake press. The rooms, 55 in total, are furnished in traditional zashiki-style: tatami mats, form screens and windows, backed with translucent paper, and leg wells. 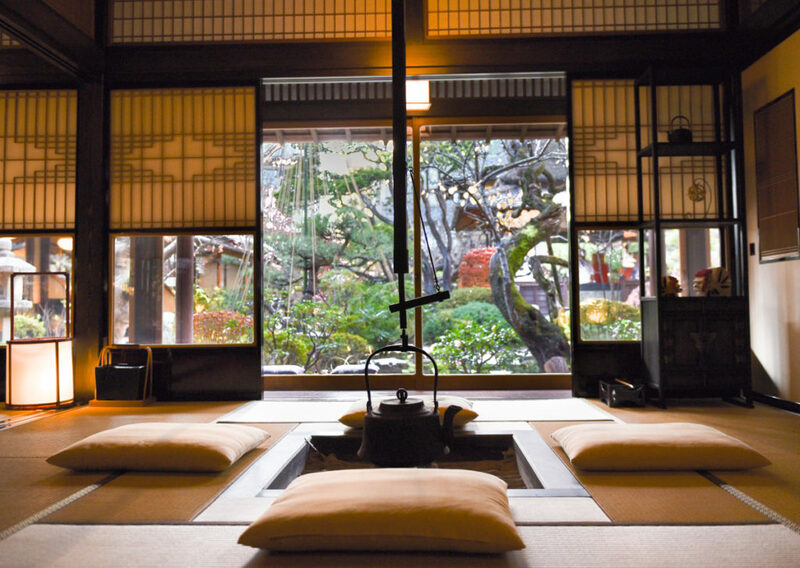 Everything exudes the simple and timeless Japanese aesthetic. The floor-to-ceiling windows allow views of the meticulously manicured Japanese garden where a waterwheel spins lazily. When we visited, there were a few momiji trees still in color, creating a beautiful fall scene. 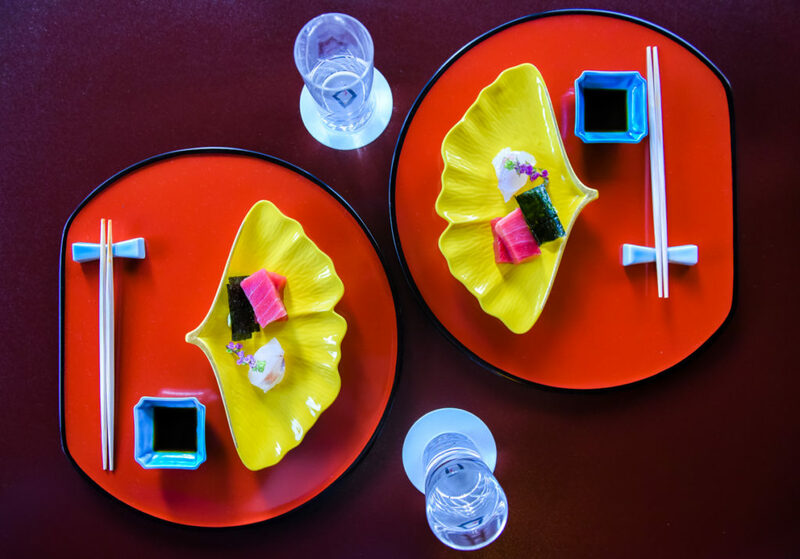 As the name suggests, the menu at Tokyo Shiba Tofuya Ukai revolves around tofu, incorporated into refined kaiseki, full course traditional Japanese cuisine. 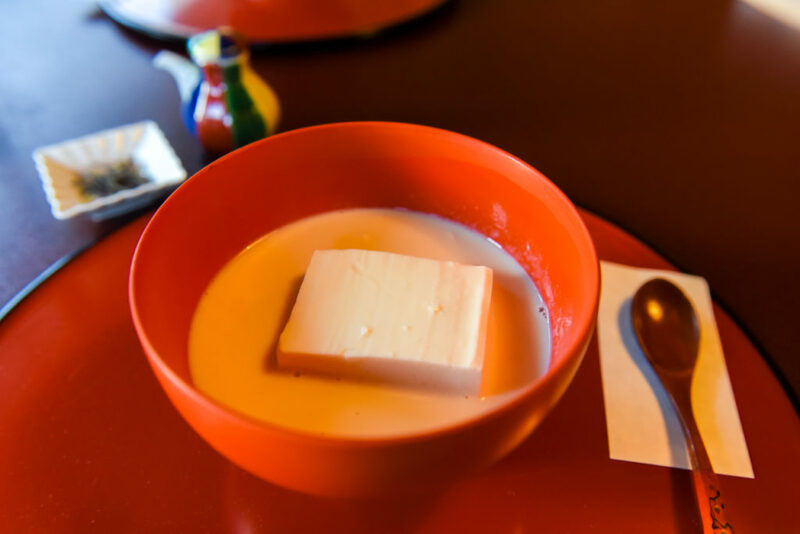 The tofu served at Ukai is original, produced at the restaurant’s own in-house workshop in the Okutama mountains behind Hachioji from beans grown in Hokkaido. Made and delivered daily, the tofu at Ukai is a level beyond the best you’ve ever tasted. At both lunch and dinner, Ukai offers a variety of seasonal tasting menus, including vegetarian courses. Our nine-course lunch Matsu set (¥7,560) was elaborate, featuring a ceramic nabe hot pot of homemade rich and velvety tofu in seasoned soy milk, quail dumpling and taro cake, strips of deep-fried tofu (abura-age) grilled over charcoal and basted with a special sweet-savory miso sauce, fresh sashimi, simmered tofu dumpling with crab, and deep-fried blowfish. All — just like the room in which it was served — was precise, beautiful and perfectly balanced. We ended our set with sweet potato on rice, miso soup and pickles; fragrant shincha green tea; and, as dessert, a toasted sesame Tofu with black sesame red bean paste. Throughout, the service at Ukai was impeccable and best of all, we were allowed to linger as long as we liked in our room. Admittedly it was hard to tear ourselves away from this tranquil, pampering oasis. 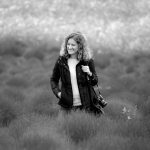 If you decide to visit, (which you definitely should) book in advance as making the reservation is quite hard — you’ll know why when you visit! Business hours: 11 a.m.-8 p.m. 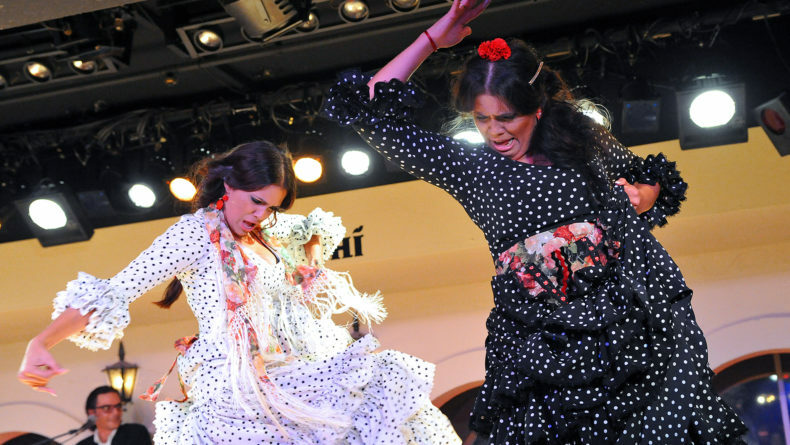 This restaurant takes you on a journey of passionate Flamenco and authentic Spanish food right in the heart of Tokyo. Don't say you love sushi before dining at a place like this.